Bristol is a quintessential, historic Vermont town on the western flanks of the Green Mountain Range, overlooking the broad agricultural valley towards Lake Champlain and the Adirondack Mountains to the west. Kevin Harper has been a committed mover and shaker in the Bristol business community since 1977. Since the mid 1980’s, CDG has collaborated with Kevin on a multitude of projects including the Hinesburg location of Bristol Bakery and the recently completed, state of the art and highly energy efficient Bristol Fire Station. The "Stoney Hill Residences" is our current collaboration with Kevin, his General Contractor Terry White from Naylor & Breen Builder’s Inc., Alan Huizenger, P.E. 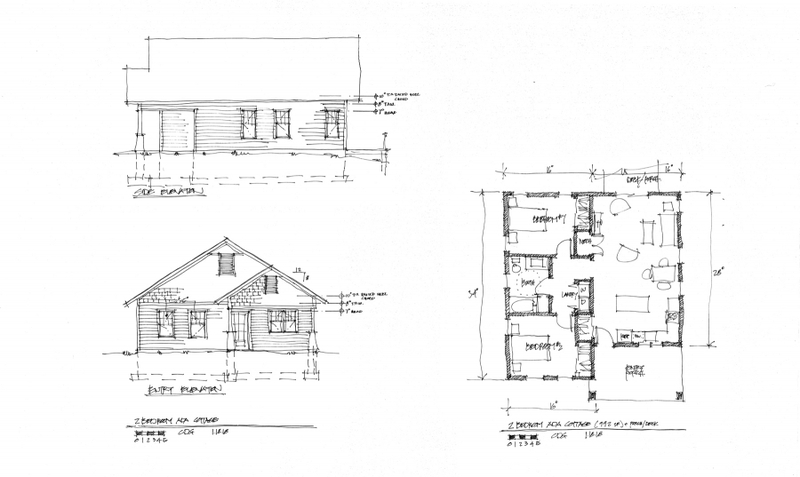 of Green Mountain Engineering, Inc., and the Bristol Planning Commission. 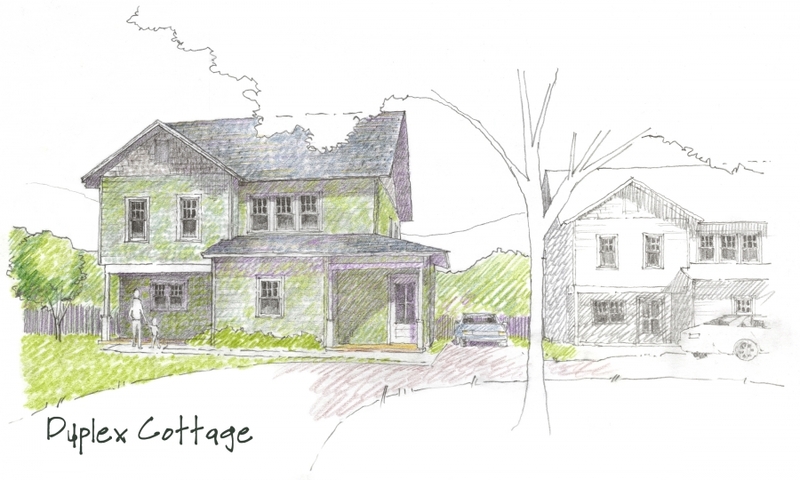 One of the design goals of the project is to offer three variations of “just big enough” homes for local people to live within walking and biking distance of downtown Bristol. 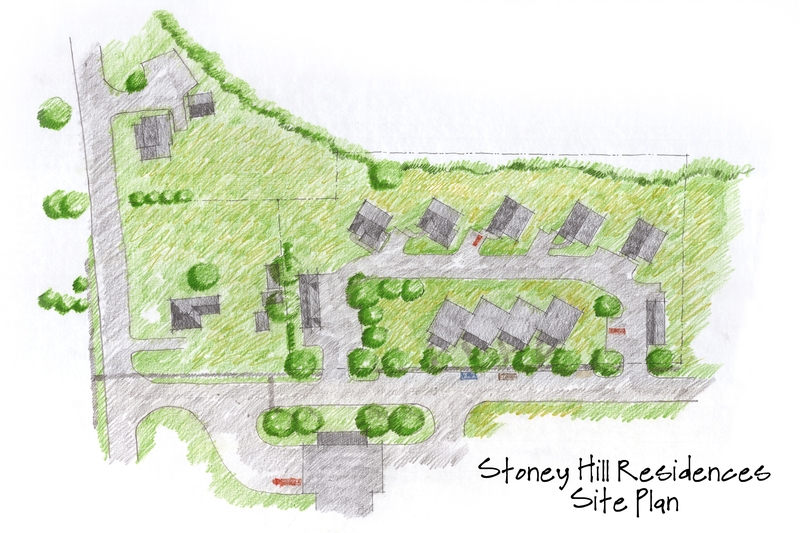 The Stoney Hill Residences will have fifteen homes, seven of which are designed to be accessible to persons with disabilities. This number is intentionally designed to be above the minimum code requirement because of CDG’s and Kevin’s personal commitment to accessibility. Each of the homes will feature energy efficient cold climate heat pumps, and durable low maintenance exterior building materials. 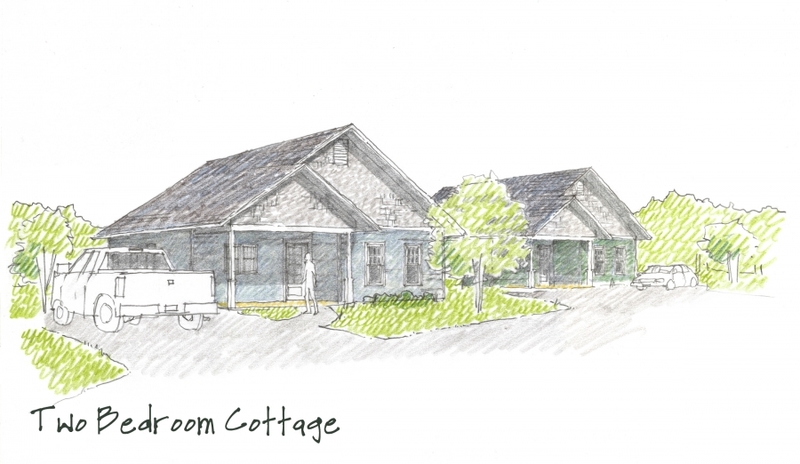 There will be single story, 905 square foot, two bedroom and one bathroom, accessible cottages whose design style takes cues from some of the beautiful craftsmen style cottages of downtown Bristol. In addition there will be two, two-story, two bedroom and one bathroom, duplex homes. These buildings also take their design cues from many of the stick built Victorian era Bristol village homes. The 1,107 square foot ground level homes are fully accessible. The 1,056 square foot upper level homes are designed to be made accessible with the addition of a stairway chair lift. Then, there are eight row houses which offer 1,088 square foot, two bedroom and one bathroom, homes in a more affordable configuration. Of the eight homes, there are two that are on the ground level for accessibility to persons with disabilities. 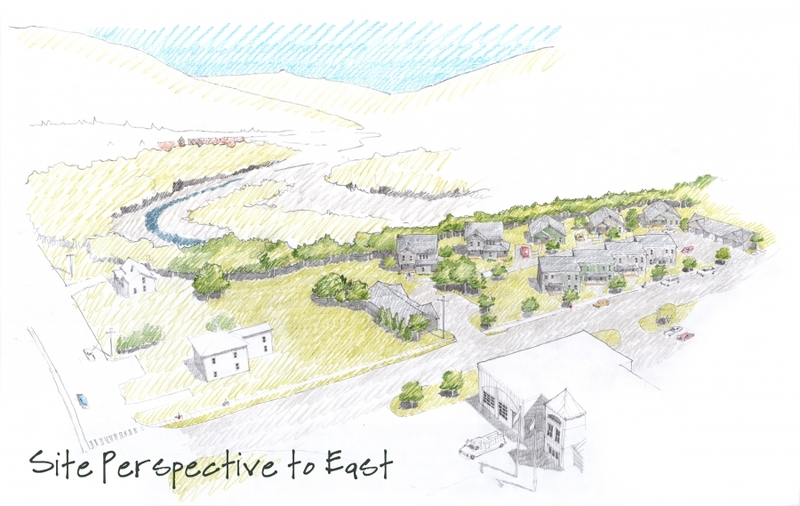 We are thrilled to be applying our listening skills and our deep understanding of the craft of design and construction to this community centered project.